Since I know about Instant-Gaming, I always buy my games here. It takes just seconds until the payment is accepted and you get your code. I love it and can highly recommend it, to everyone who wants to safe a few bucks. site lent qui demande un docmument a chaque fois. Code worked like a charm, including DLC . Thanks! Such quick customer service- insane. Wrong key and it was instantly replaced. At first I kept entering the code wrong. The 9 just looked like an 8 or S for me, but worked perfectly. Thanks for great price. Forgot sale was about to end but still found Dishonored 2 for a great price. Couldn't be happier, it was the fastest and everything works just fine. Thank you! Guys, u already know me. 100% fast and save. ;) Really proud of u + i have got DLC too for the same price and I thought I will have to wait a lil bit bcs DLC is out of stock. Fast and ready to play, very nice! In seconds i had the code and the game was actied without problems. Really good, I didn't think I would get a DLC as well, nice! The game is amazing, i loved the first one and to my surprise this is even better than the first one! The only downside is that the game still lags a tiny bit on low settings. Best stealth game ever played also the first one was amazing but this woow nothing to say more its Stealth game with powers and u can repeat also speedruns :D There is so much to do in this game its amazing BUY IT ! 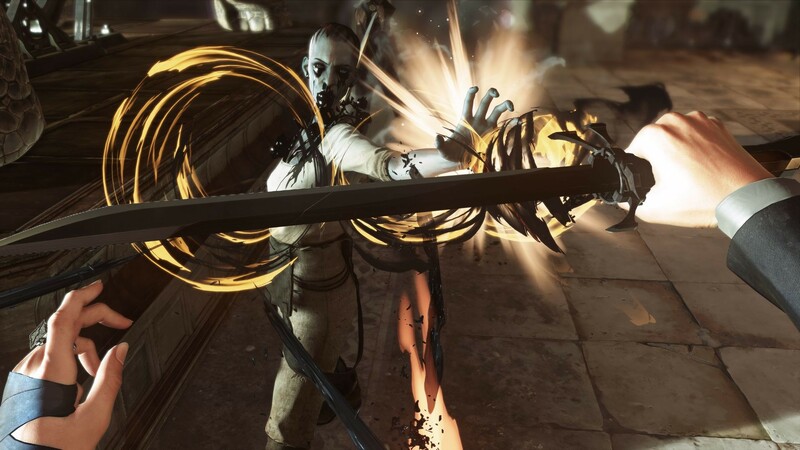 Even though the storyline is identical to the first Dishonored, and most of the mechanics are the same, the first game pales in comparison to Dishonored 2. It's not only the graphics that have improved on this second installment, or the possibility of choosing between two characters: It's much more than that. With a huge variety of weaponry and supernatural skills, many ways to achieve the same goal and even different pathways, this game has a huge replay value. There are as many playstyles as players, and there is always something left to find. Dishonored is not about rushing to your goal, but rather about making something fun out of the game: Challenge yourself to NEVER be seen, to not kill anybody (or to kill EVERY SINGLE PERSON), to play without powers, to play with both characters and upgrade different powers. Maybe make something creative; creative kills are definitely the best. So, what else has improved? First of all, the guards are no longer stupid: They will not always react as you expect, but they will react very quickly even to things they don't see, such as people missing. Their behavior is more human, and they are harder to fool when on alert. When fighting, elite soldiers may dodge attacks, block them, predict your movements... Their realistic AI is a critical improvement as it makes stealth much difficult without a strategy, and battling actually fun as it requires a correct timing and some mechanical skill. Trying new skills is also fun, though as always, constantly freezing time or mesmerizing people can make the game boring. It's all about being creative. I loved the first one and I love this one even more, I recommend everyone playing this game. The story kind of repeats itself if you choose Crovo, but the puzzles and the complexity (and extensives) maps bring more gameplay than ever. Dishonored 2 offers a choice of selecting one of the main characters: Emily and Corvo, so I picked Corvo for the old times' sake. Game's biggest disappointment is its performance and optimization that unfortunately made a huge impact on my recommendation. 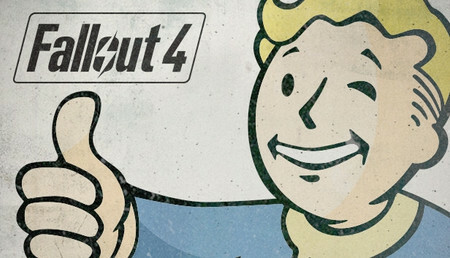 Its famous gameplay that everyone was excited for is crumbled by the horrible FPS drops and disgusting bugs. I already knew before buying it that it has some FPS issues but everyone was basically saying that it got better, well in that case I really don't want to look how it was before this disaster. To be honest I was enjoying solving the puzzles and looting more than to kill someone. Playing Dishonored 1 is a must. Also try to look on the internet (Reddit) for the best setting so you don't have to tortue yourself later on. Story of this game is good. 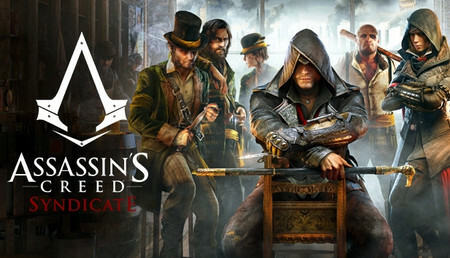 You can choose between 2 characters, Emili or Corvo Atano from the first game. Gameplay is different. You can play stealth or kill everybody. If you kill everybody = bad end, stealth = good end. As good as the last game (which was amazing). Gives more gameplay options but is slightly harder due to smarter AI opponents. Gives better insight into politics of Dunwall and the world it is set in but on a personal level game lacks some depth that is amended by the DLC. Awesome price at IG. Great game! Greta level design, music, game design... The universe also is fantastic. Arkane Studio did a great job. 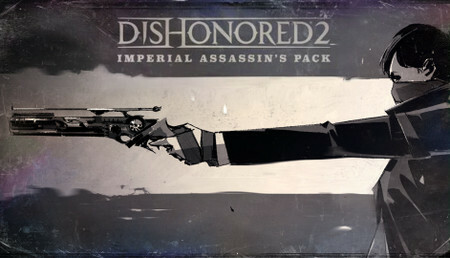 If you liked Dishonored 1, you will love this second episode. I'd say it's a must have. Un très bon jeu dans la continuité du premier opus. La liberté des choix est toujours respectés tut comme le gameplay qui apporte aussi son lot de nouveautés. Dishonored 2 peut sembler un peu trop proche de son grand frère au premier abord avec la surprise d’un univers original qui n’est plus de mise. Mais une fois en main, le titre dévoile tout son potentiel. Son histoire, sa direction artistique, son ambiance, ses possibilités d’actions, son level design… Beaucoup d’éléments sont présents pour en faire un excellent jeu, ce qu’il est. Accompagner Corvo ou Emily dans leurs aventures est un réel plaisir renouvelé. Ce soft est la confirmation qu’Arkane sait ce qu’il fait, et qu’il le fait bien. Das Spiel ist ein ausgezeichneter Nachfolger zum ersten Teil. Die verschiedenen Wege auf denen die Missionen abgeschlossen werden können, machen sehr viel Spaß.Es gibt jede Menge "Collectibles" die man finden/verdienen kann. Ein wachsames Auge und etwas Zeit um möglichst vieles zu sammeln, vereinfachen das Spiel um einiges. Ottimo sequel per chi ha apprezzato il primo, bella anche la possibilità di seguire due personaggi differenti, unica pecca oltre l'ia è la voce del corvo, meglio prima ahah. Le jeu est en de nombreux points le jeu idéal en mon sens. Je m'explique: la jouabilité est accessible à tous, le scénario est une petite pépite d'inventivité qui nous laisse un certain nombre de choix à faire selon notre envie et les graphismes sont beaux. Petits bémols tout de même les ennemis une fois morts ou assommés sont souvent bugués (traverses des murs ou des objets) et la difficulté même au maximum n'est pas des plus ardue. Le jeu est vraiment bon, je dirais même aussi bon que le un, avec la possibilité de jouer un nouveau personnage avec de nouveaux pouvoirs. Les graphismes sont vraiment très jolie et je trouve la direction artistique parfaite comme le scénario d'aillleur. Pour tous ce qui on jouer au un, il est incontournable. Un juego con complejas mecánicas, muchos estilos de juego,y una amplísima gama de poderes y artilugios. Eso si, cuesta un poco por no decir muchísimo acostumbrarse al juego debido a la complejidad de este pero si le das un oportunidad hasta pasar los primeros capítulos este juego te abducirá y no podrás contener tus ganas de jugar. J'ai passé un temps de dingue sur le 1 comme sur le 2, toujours de nouvelles façons d'appréhendez une même mission, des pouvoirs à la fois inventif est très stylé et surtout surtout un très très bel environnement accompagné d'un gameplay très travaillé, tant dans sa fluidité que dans les options qu'il offre. Les tableaux sont complets et assez diversifiés (entre Dunwall et Carnaka c'est d'autant plus flagrant), qui font très plaisir aux fan du premier, tout en proposant des nouveauté qui certes ne dépayse pas un joueur ayant déjà touché aux jeux d'infiltration mais propose suffisamment de contenu pour ne pas se lasser sur une bonne quarantaine d'heure. Surtout au prix auquel le propose IG ! Foncez ! Verdammt geiles Spiel das man einfach Kazfen muss. Die Stimmung ist Perfekt für Grafik geil und die Musik rührend. Leider kann man die Sprache in den Einstellungen nicht ändern. Das Spiel nimmt automatisch die Sprache des Systems an. Mein Windows ist auf Englisch und lässt sich nicht umstellen, nervt etwas. Une histoire au poil dans la continuité du 1. On aurait souhaité peut être un plus d'informations sur le monde et ces habitants... pour s'immerger encore plus. Le défi du fantôme beaucoup plus difficile que le 1 est un vrai challenge. Je ne suis pas un grand habitué des jeux vidéos mais j'ai adoré dishonored 2. Un aventure prenante avec une maniabilité à porté de tous. Un réalisme qui se mélange parfaitement avec une pointe de pouvoir mystérieux très agréable à utiliser. Un scénario qui tient la route et qui se modifie selon les choix des protagonistes, donc logiquement plusieurs fins...Les personnages principaux ont plusieurs possibilité pour se mouvoir, ou se défendre, des atouts en quelque sorte, sans forcément affronter les ennemis. J'ai apprécié la qualité de jeu, graphiquement et jouabilité. Je conseille de prendre le niveau de difficulté le plus élevé. Quant à l'évolution, du personnage dans les rues ou autre, plusieurs chemins possible. Je suis en train de recommencer le jeu depuis le début avec l'autre personnage, tout aussi attachant. Et j'envisage de prendre le 1er, même si j'ai peur que la graphique soit un peu dépassé. "Dishonored 2 erfüllt alle Erwartungen an den Stealth oder Actionkracher der bekannten Softwareschmiede Bethesda und Arkane Studios. Was mir besser als beim ersten Teil gefällt ist nicht nur die Grafik, sondern auch die freie Entscheidung des Spielers es hart anzugehen (Brutaler Killer) oder als Schleicher zu agieren. Einige Bugs nerven nicht sonderlich. Fazit: Nice...Sehr Nice...!" Naja an sich ein sehr gelungenes Spiel! Dennoch muss man sagen das, dass Spiel ausbaufähig ist, es gibt viele Probleme wie zum Beispiel das einfach mal Spielfiguren verschwinden und das nicht aus richtigem Grund. Die Performance ist miserabel und die Story ist ein bisschen zu bemüht! La storia lo trovata un po' simile al precedente capitolo (arriva il cattivo, uccide chi gli sta più caro e il\la protagonista cerca vendetta) però lo trovata interessante per il livello di sfida che cera in ogni capitolo. Dishonored 2 es una secuela digna, gracias a su brillante diseño de niveles y los poderes de Emily que dan un cambio suficiente a sus mecánicas. Puede que sea algo conservadora, pero la fórmula de Dishonored todavía se mantiene lo suficientemente fresca como para querer seguir disfrutando de los poderes del Vacío una vez más. Su diseño de niveles es de la máxima calidad. Los nuevos poderes de Emily, espectaculares incluso en sigilo. Con tirones y poco pulida. Molto simile al primo Dishonored ma migliorato sotto praticamente ogni aspetto. Ottimizzazione su PC un po' scadente. Consigliato a quelli che cercano un Gameplay elaborato piuttosto che una storia profonda. Es haben ja oft Leute bei Dishonored 2 die Performance bemängelt, das es Stark Ruckelt und alles was nicht noch dazu gehört. Ich Persönlich hatte nie diese Probleme, deshalb werde ich unten auch meine Specs reinschreiben, denn ich konnte das Spiel ganz getrost auf 60 FPS+ auf den Höchsten Einstellungen zocken, ohne überhaupt einen Mikro Ruckler zu haben. Kommen wir aber mal zum Spiel an sich. Tolle und vor allem eine folgende Story, Hübsche Grafik, man kann sich Zwischen zwei Charakteren entscheiden, was ich mal mega geil fand, Stealth Gameplay kann man gut umsetzen, für mich aber leider etwas zu kleine Gebiete, auch wenn sie so noch recht riesig für sich sind. Ich hab gegen dieses Spiel echt nichts auszusetzen, wer den ersten Teil gemocht hat, wird den hier erst recht mögen. Superbe Jeu ! Un scénario de haut vol, une direction artistique soignée, une jouabilité dynamique (bien que certaine capacité ne sont pas toujours facile à utiliser). Certains mission sont tellement jouissive (en particulier le manoir de Jindosh). De loin le meilleur épisode de la licence ! 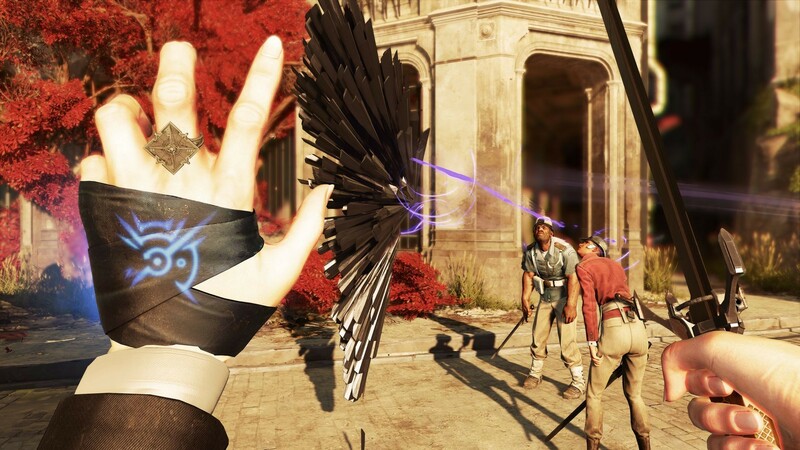 Dishonored 2 ne déçoit pas face à son prédécesseur en gardant les mêmes qualités tout en peaufinant certains aspects. Le level design des architectures (toujours du grand are) s'associe à merveille avec le dénivelé des environnements apportant un plaisir intense au gamepaly. Super histoire, jeux difficile au début mais agréable ! Le monde de Dishonored nous fait encore et toujours rêver ! In poche parole: more of the same. È una versione migliorata sul primo capitolo. Bello e con possibilità di giocarlo nei panni di Emily o Corvo. La grafica è simile al primo capitolo, migliorati alcuni effetti (es. Tempeste di sabbia). Giocato a 4k ultra e con una 980ti tiene i 45fps di minimo con una media di 50fps. Alcune dinamiche migliorate. Da giocare in stealth. Se giocato spada in mano perde almeno 20 punti, combat system troppo semplice, ripetitivo, poco preciso. 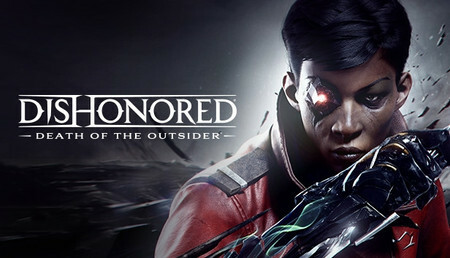 Estoy deseando probarlo Dishonored 2 es un videojuego perteneciente al género de acción-aventura y sigilo desarrollado por la empresa Arkane Studios y distribuido por Bethesda Softworks para PlayStation 4, Xbox One y Microsoft Windows. Es la secuela de Dishonored. Su fecha de lanzamiento fue confirmada para el 11 de noviembre de 2016.1​ Un lanzamiento rodeado de cierta polémica entre la comunidad de jugadores de PC debido a la mala optimización del juego para dicha plataforma. En los meses posteriores se lanzaron varias actualizaciones para tratar de solucionarlo. El juego ha sido increible, desde principio a fin sin excepciones. 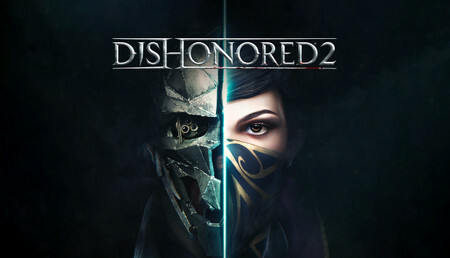 Jugué el 1 y me enganché, ahora he jugado el 2 y he flipado y espero comprar el nuevo dishonored en poco tiempo. Si bien es cierto que hay muchas partes de la historia que te las deja en el aire y no te da pistas para poder saberlas, no lo veo un punto negativo en absoluto. Esto ayuda a que el juego tenga un poco mas de misterio y que te metas realmente en la historia para poder desvelar sus secretos. Han sabido hacer una buena conecxión con el título anterior pero dandole un enfoque nuevo. Es cierto que el trasfondo de la historia y la jugabilidad es siempre el mismo... Llega alguien, te quita la mas preciado para ti y desaparece hasta el final del juego que es cuando cariñosamente le revientas la cabeza con la pistola o le sacas las tripas a base de espadazos. Gráficamente han mejorado muchisimo. Los detalles de la pistola, las texturas, las ciudades... No tiene punto de comparación con el anterior en ese sentido. La jugabilidad aun que siempre es la misma, te motiva a seguir jugando solo por saber cual sera el proximo poder que podras desbloquear usando las runas. Y algunas seran realmente dificiles de conseguir, ya que las moscas de sangre estaran dando por saco durante todo el juego. En definitiva un muy buen juego. Aun que algunas veces nos pueda parecer repetitivo, cuando avanzas de escenario te das cuenta de lo equivocado que estabas. Muy buen juego, lo malo esque como no tengas un reactor nuclear en casa no te lo tira a 60 fps y a ultra, yo con un i56500, 8gb ram y una gtx 1060 de 6gb con bajones de 60 a 30 fps a calidad alta-media. Aunque si te gusta la saga y el primer juego te gustó este esta recomendado. Niveles grandes y con buen diseño. Nos cuenta la historia despues de unos años del primero. Podemos elegir entre 2 protagonistas y cada 1 con su propia forma de juego. Graficos bonitos pero mala optimizacion. Corto como el anterior titulo. Jeux d'aventure à la première personne de qualité , avec une histoire modulable et un choix de personnage à faire au début du jeux ! Wenn man in den letzten Jahren als PC-Spieler ein Problem besonders ertragen muss, dann sind es wohl mittelprächtig bis absurd schlecht optimierte PC-Ports von AAA-Spielen. Neben Batman: Arkham Knight, Just Cause 3 und HITMAN, um nur mal einige zu nennen, reiht sich auch Dishonored 2 in die Riege dieser Frechheiten ein. Den Release von Dishonored 2 als „holprig“ zu bezeichnen wäre noch sehr nett gesagt, von der Performancekatastrophe bis hin zum langsamen Patchsupport um genau diese Probleme zu beheben hat sich Arkane Studios diesbezüglich nicht grade mit Ruhm bekleckert. Was schade ist, denn Dishonored 2 macht ansonsten quasi alles besser als sein schon großartiger Vorgänger. Technische Aspekte – Wie läuft’s? Etwas mehr als zwei Monate dauerte es bis Dishonored 2 seinen finalen (?) Performancepatch bekam, zeitgleich mit der Einführung der selbst einstellbaren Schwierigkeitsgrad. 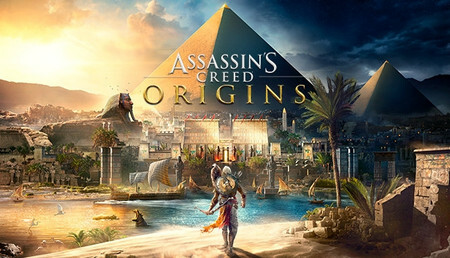 Das Spiel läuft in der Zwischenzeit ganz vernünftig, auf meinem PC (i7-2600K, GTX 980, 16 GB RAM) hatte ich auf der Einstellung „Sehr hoch“ in den meisten Missionen zwischen 60-100 Bilder pro Sekunde. Nur Mission 7 fällt hier etwas aus dem Muster was aber auf eine dort vorhandene Spielmechanik zurückgeführt werden kann. Dort fiel die Bildrate gerne mal auf knapp über 30. Anmerkung am Rande: Bei einer lauten Spielweise kann es stellenweise auch zu Bildeinbrüchen kommen, außerdem kann die Performance von PC zu PC variieren. Ein Problem was mir jedoch viel mehr auf die Nerven ging waren Abstürze zu Beginn von Mission 3, welche allerding nur zweimal auftraten, und das komplette Einfrieren des Spiels in Mission 8 welches ich nur durch einen Neustart des PCs lösen konnte. Wäre nicht so schlimm gewesen, wenn es nur einmal passiert wäre, aber es passierte dreimal und ich durfte jedes Mal den PC neu starten. Ich möchte hier nochmal festhalten das die Anzahl der Probleme von PC zu PC variieren kann. Ein Freund von mir hatte beispielsweise gar keine Abstürze, dafür aber Bildeinbrüche in Mission 5, welche ich wiederum nicht hatte. Technisch also immer noch nicht perfekt, aber ertragbar. Spielerisch bietet Dishonored 2 alles was der erste Teil auch schon bot in einer noch besseren Ausführung. Dank Emily als neuer spielbarer Charakter mit eigenen Fähigkeiten, neuen Pfeiltypen sowie zwei neuen Gegnerarten und der Möglichkeit im NewGame+ die Fähigkeiten beider Charaktere gleichzeitig zu nutzen ist mehr als genug Umfang gegeben. Emilys Fähigkeiten erweitern das vorhandene Repertoire auf sinnvolle Art und Weise und eröffnen ganz neue Wege eine Mission zu erfüllen. Die KI wurde auch überarbeitet, was bedeutet, dass sie bei mir deutlich weniger Aussetzer hatten als im ersten Teil, dafür aber auch extreme. Von durch die Wand gesehen werden bis hin zum gar nicht gesehen werden war alles dabei, und das meiste davon geschah in Mission 8, die Male wo das passierte können aber an einer Hand abgezählt werden. Und noch eine kleine Warnung: Solltet ihr planen das Spiel ohne jemanden zu töten durchzuspielen, platziert bewusstlose Personen, wenn möglich, nicht an einer erhöhten Position. Beim Laden des Spielstands kann es passieren das diese Personen runterfallen und mit etwas Pech sterben, was einem dann als Kill angerechnet wird. Während es im ersten Dishonored nur in zwei Missionen eine Art „Vor-Level“ gab, welches gleich zweimal genutzt wurde, besitzt jetzt jede Mission ein eigenes Level bevor man das Level mit dem eigentlichen Ziel erreicht, teilweise sogar mit mehreren Ebenen. Diese besitzen teilweise den Umfang einer ganzen Mission und beinhalten außerdem die Schwarzmärkte, bei denen man seine Waffen und Ausrüstung verbessern und Munition kaufen kann. Allerdings fühlen sich diese Schwarzmärkte für mich wie eine unnötige Verkomplizierung der Werkstatt des ersten Teils an, vor allem da auch Dishonored 2 eine kleine Hub-World besitzt in der man sicherlich recht leicht eine solche Werkstatt hätte platzieren können. Zudem geht dank der Schwarzmärke auch das Ressourcenmanagement flöten, da man in der Theorie einfach seine Munition verballern kann und sich anschließend neue kauft. Allerdings kann ich die Entscheidung Schwarzmärkte einzuführen insofern nachvollziehen, dass man sich diesbezüglich an etwas Neuem versuchen wollte. Unabhängig davon sind diese Level aber gut designt und geben Einem oft alternative Routen um zum Ziel-Level zu gelangen. Einige haben sogar Level-spezifische Features welche zusätzliche Abwechslung bringen, vor allem die zweite Hälfte von Mission 4 und Mission 7 stechen sehr positiv heraus. Wer sich in den Leveln vom ersten Teil wohl gefühlt hat wird dies auch hier tun. Zu guter Letzt noch ein Wort zu der Art wie sich das Spiel präsentiert. Es ist schön nach den grauen und tristen Dunwall mit Karnaca eine etwas farbenfrohere Stadt zu sehen, denn schon wie im ersten Teil ist Dishonored 2 sehr stilsicher, aber dabei ein gutes Stück organischer. Diese Stilsicherheit zeigt sich aber nicht nur in den Level, sondern sogar im Pausen-Menü, im Startbildschrim und auch in der Art wie einem die lesbaren Texte präsentiert werden. 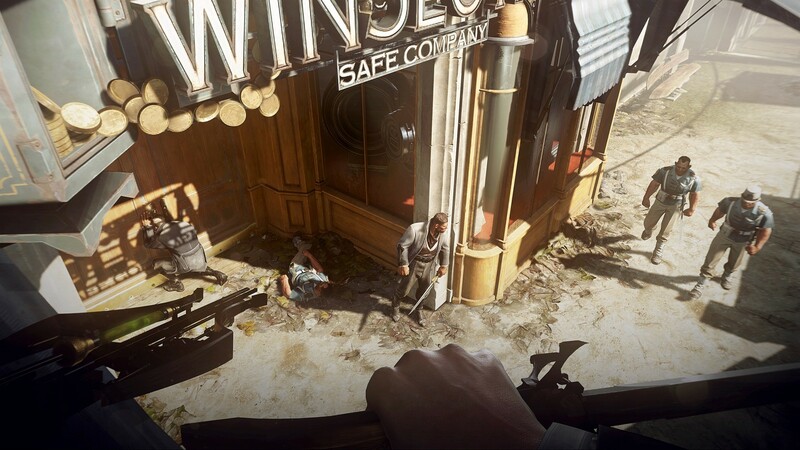 Schon der erste Teil hatte wunderbar gemachte Menüs, aber Dishonored 2 legt noch mal eine Schippe drauf und ist vermutlich eins der besten Beispiele wie man Spielwelt und Menüdesgin miteinander verschmelzen lassen kann. 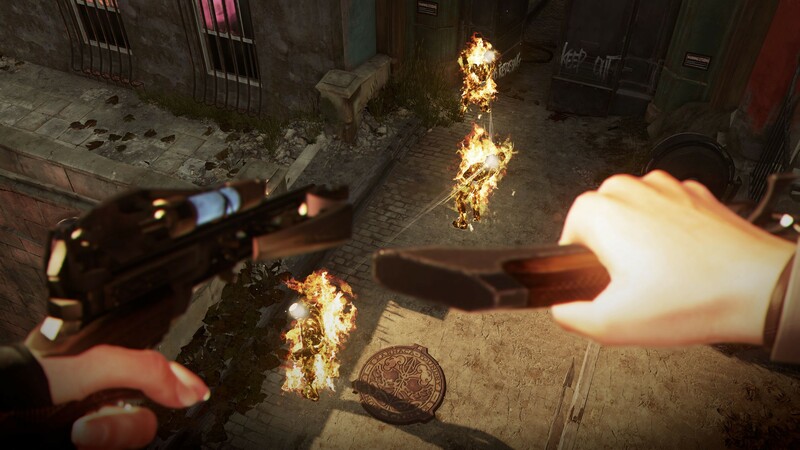 Dishonored 2 ist ein Spiel welches das harte Schicksal vieler großer Spiele der letzten Jahre auf dem PC teilte, nämlich wenig optimiert ein paar Monate zu früh veröffentlicht zu werden. Jetzt, knapp drei Monate nach Release, wo das Spiel in einem spielbaren Zustand ist, sollte man sich wirklich die Frage stellen ob es notwendig war den Zorn so vieler Spieler auf sich zu ziehen. 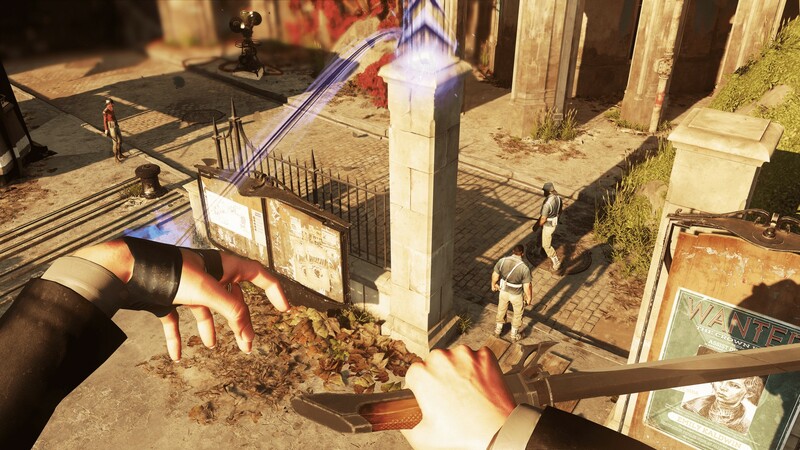 Denn auch wenn Dishonored 2 technisch eine Katastrophe war, spielerisch ist es ein wunderbares Produkt. Gioco stupendo come il predecessore.. A mio parere le ambientazione e la trama sono il punto forte.. Non è da meno il gameplay e se vi piacciono i giochi stealt questo fa per voi.. Consiglio di prendere anche il primo..